This week the people of Britain have been preparing to vote. There has been unprecedented levels of media attention in the polls. Popular support for some of the candidates in the last few days has reached fever pitch. Not just in Britain but around the world, millions and millions of ordinary people have been watching, speculating and cheering on the candidates. What has impressed voters has been the honesty, the integrity, the complete lack of guile, the down to earth, no nonsense, approach of some of the candidates. For weeks I have been in no doubt whatsoever as to the outcome. I believe that if Susan Boyle had been standing as a candidate for the local elections or the European Parliament, instead of last night’s final of Britain’s Got Talent, she would win on Thursday with a huge landslide. Susan is a 48 year old church volunteer from West Lothian in Scotland. She lives at home with her cat Pebbles. Susan has been singing since she was 12 years old. She regularly attends her local church and helps them out however and whenever she can. On Thursday, England goes to the Polls a second time this week. Turn out will probably be much lower than on Saturday night. It will be a referendum on our entire political system. How do we change the system? Hold up our hands, shrug our shoulders, stay at home or cast a protest vote? No, that is the last thing we should do on Thursday. Only the extremists will benefit. I urge you to vote. But not in some Pavolvian way as you have always done. Do your homework and vote for the local and European candidates who demonstrate integrity, who can earn your respect and will act responsibly as your representatives. That is the democratic way to change the system. And there is more that MPs can do as well. One political leader has declared that in future, when his MP’s submit their expense claims, they will simultaneously publish them online so that anyone can see what they are claiming for. That is how you change the system. Transparency. Although I am not claiming expenses at the moment, I want you to know that you can ask the Church Wardens to see any of my expense claims over the past 12 years, at any time. Today we come to the fourth. A dispute about God’s justice (2:17-3:6). You see, the people of Malachi’s day were as frustrated as you may be over the lifestyle of your political leaders. They were troubled by the corruption of their day, they were irritated by the inequalities, they were perturbed by the injustices they saw all around them. And they began to question whether God really cared. They blamed God for their suffering. They questioned God’s integrity. They even went as far as to accuse God of tolerating injustice. What did they say? As Rico Tice says, “The heart of the human problem is the problem of the human heart.” That is why God has provided what we need most – a Saviour. Malachi introduces us to the grace of God personified in Jesus Christ our Saviour. Instead of simply sending an asteroid to wipe out the earth, God sent a messenger to prepare the people for his personal coming. That is grace. “My messenger,” who “will prepare the way,” is distinguished from the divine Lord of hosts, who is the speaker and to whom the pronouns “I,” “my,” and “me” refer. So the messenger is someone different from the Lord of hosts. The play on Malachi's name (malaki means messenger) also suggests that his own prophecy was intended to foreshadow the work of this promised messenger. The New Testament identifies this messenger as John the Baptist, the forerunner of Jesus Christ (Mt 11:10; Mk 1:2; Lk 7:27). The Lord did indeed come to his Temple, at the beginning of his ministry (John 2:13-24), for all the major festivals (John 7:37; Luke 21:37), then most notably he came the last week of his life (Matthew 21:12-16). In the Old Testament the temple was a place for the people to meet with God, to worship God. So God comes to them here at the place of meeting. The phrase "whom you desire" is significant: Even in their sin the people longed for deliverance through the Messiah. There is a God-shaped vacuum in the heart of everyone that only God can fill. So Malachi asks rhetorically, verse 2, "Who can endure the day of his coming? Who can stand when he appears?” (Malachi 3:2). The answer is obviously – “no one”. That is because the Lord is performing two complementary works: he is purifying sinners who acknowledge him (3:2-4) and judges those who repudiate him (3:5). Vindication and exoneration for the righteous but condemnation and punishment for the wicked. Like most OT prophets, Malachi, in his picture of the coming Christ, merges the two. So while the birth and earthly ministry of Christ are in view in verse 1, we already meet the returning Judge in verse 2. The “Day of the Lord” is any day God steps into history to do a special work, whether of deliverance or judgement. This passage speaks of both. Let us consider each. Grace has provided a Saviour. unmistakable – precious, perfect gold – 24 carat. When does the smelter know the gold or solver is pure? When he can see his image in it. God’s plan and purpose is to transform us into the image of his son. “For those God foreknew he also predestined to be conformed to the image of his Son, that he might be the firstborn among many brothers and sisters.” (Romans 8:29). The illustrations of this purifying work, the refiner's fire and fullers' soap, stress both its thoroughness and its severity. Don’t be surprised though if this refining work is painful. Don’t think it is strange when these trials come your way. Understand that God would only allow them for your good. The results are worth it. 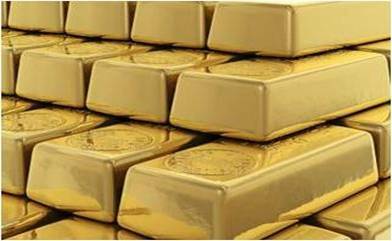 You know Gold is extremely malleable – that means it can be worked easily; changed if you will. Gold is so malleable that a single ounce can easily be beaten or hammered to a thickness of 0.000013 cm (0.000005 inch - or 1/282,000th of an inch thick). That is enough for one ounce of gold to cover a hundred square feet. And gold is so ductile (able to be stretched) that one ounce can be drawn into a fine wire 100 kilometers (62 miles) in length. Can we put ourselves in the hands of God and be that malleable, that ductile? There he stands, in overalls, heating the smelter, ready to purify us and make some beautiful thing out of us. Remember God has a plan for your life. He has a purpose for your life. He wants you to be holy. He wants you to be pure. He wants you to be Christ-like. He has a plan to make us holy. It is appropriate that today we celebrate Pentecost. The day the Lord sent his Holy Spirit to indwell and purify his Temple, the Church. The Holy Spirit was given to make us holy. To prepare us for heaven and the Day of the Lord. By God’s grace and through faith in Christ, we are cleansed of our sin and are being transformed into the image of his Son. Grace has provided a Saviour. Grace is purifying his Saints. Grace has provided a Saviour. Grace is purifying his Saints. Grace will judge all Sinners. This is the good news and the bad news of the gospel which God has entrusted to us to rescue others from the fire of hell. This fourth disputation closes with the grace of God. “I the LORD do not change. So you, the descendants of Jacob, are not destroyed.” (Malachi 3:6). Here yet again we encounter the grace of God. ‘As surely as I live, declares the Sovereign LORD, I take no pleasure in the death of the wicked, but rather that they turn from their ways and live. Turn! Turn from your evil ways” (Ezekiel 33:11). If you are in any doubt what so ever today that God is purifying you as his child and that one day you fear he punish you as a sinner, turn to him now in repentance and faith. Receive his Son as your Lord and Saviour. Do you remember the name Terry Anderson? Terry was the reporter held hostage in Lebanon for 2,454 days. He was raised a nominal Christian. During his captivity, however, he was given a Bible. He said that Bible came to him as a gift from heaven. He read. He pondered his life. He had lots of time to ponder his life – 2,454 days. He looked back and found many things that brought him shame. In his mind, he began composing a litany of confession. As time went by, he gradually learned about other American hostages confined in cells around his own cell. He found out one was a priest – Father Jenco. He asked if he could confess to the priest, and his wish was granted. They were brought together and their blindfolds were removed. Terry Anderson at last began his recitation of all he had done wrong in his life. When he finished, they were both in tears. Father Jenco laid his right hand on Anderson’s head and said, “In the name of a gentle, loving God, you are forgiven.” Anderson’s faith grew deeper and deeper through his long captivity, but his first formal step back was his confession. In the darkness of captivity and abandonment, Terry Anderson turned back and found the grace of God. May you find the grace of God today.